As you can tell by the picture, we are definitely not skiing. Or if we are, navigating down this hill is going to be a bit of a challenge, to say the least. Let’s back up a bit, so I can explain. Yesterday morning started out as planned. We got up, grabbed a quick snack, and headed down to the exercise room. After our workout, we quickly showered, and packed up. So far, so good. This is when we started discussing our plan of attack for the rest of our vacation. After checking the weather forecast for Killington, we began questioning the whole skiing thing. Rain was heading in, and we would be lucky to get in one good day of skiing. That, plus the fact that Reed had tweaked his back the previous day, had us thinking we should opt for plan B. Which we didn’t have. Now the ironic part. I love irony. We had not made any reservations for our entire trip. We were winging it. And we are not wingers. We are planners. To a fault. Almost obsessively. For the first time ever, we did not have a plan. Perhaps this was a God thing. We threw a few ideas around…NYC, Boston, South Carolina. Our only limitations were time, money, and the fact that we had our Thule on the roof (making parking in any type of parking garage impossible.) I was just being sassy about the limitations part. Don’t know if you caught that or not. After quite a bit of thought, we decided to head south! I had always wanted to visit Charlottesville, Virginia. Several of my favorite food bloggers are from the area, and they rave about the food and the hiking. The thought of warmer weather was somewhat appealing as well. And yes, I know we were suppose to go skiing, and skiing involves snow, and snow requires cold, BUT it was spring skiing. You know….unzip your jacket, take off your mittens type of skiing. As we left Panera, we grabbed some oatmeal and a caramel roll for Kristin, and swung by her apartment to pick up some things she wanted us to bring home. Then, we headed to the BU Bookstore to pick up a new window cling, and “browse” the t-shirts and coffee mugs. Alli was just finishing up her last (and only…college life is so tough) class of the day, so we took her to lunch at Wegmans. Wegmans is ALMOST as good as a Whole Foods. Almost. I love that they have all their food clearly labeled as vegan or vegetarian, PLUS they list the ingredients as well! I wan’t that hungry, but I had absolutely no problem eating all of this: sautéed kale, roasted butternut squash, zucchini and green beans, udon noodles, a couple of chunks of tofu, fried plantains, and a dumpling thingy stuffed with veggies and accompanied with a spicy sauce. After dropping Alli off, we were on our way! The drive to Charlottesville was absolutely gorgeous. The chocolate snack was pretty good too. By the way, this was shared. Equally. Honest. Dinner was average at best. I couldn’t find any fun restaurants in the cities we passed through. So Jimmy Johns it was. Again. This time I asked for extra guacamole. I ate 1/2 of my sandwich and all of my chips. Meh. Reed was actually pretty excited as there was a Sweet Frog next door. Sweet Frog was our introduction to the world of fro-yo. We first discovered it when Alli was on a college visit in North Carolina. I instantly became hooked. Unfortunately, there weren’t any fro-yo establishments near us at home at the time. But then, Cherry Berry came to town! Or at least a neighboring town. A trip to Cherry Berry became a weekly occurrence. Pink lemonade, pomegranate, and pineapple with fruit. Tasted fake. My tastebuds have changed. We finally rolled into Charlottesville at 8:00 “ish”. It was dark, but we attempted to do a little sight seeing before calling it a day. It’s funny. It wasn’t anything like I expected! I anticipated a small town…not a sizable college city! After a good night’s rest, we headed off for breakfast! I had spent much of the trip down planning our activities and meals. 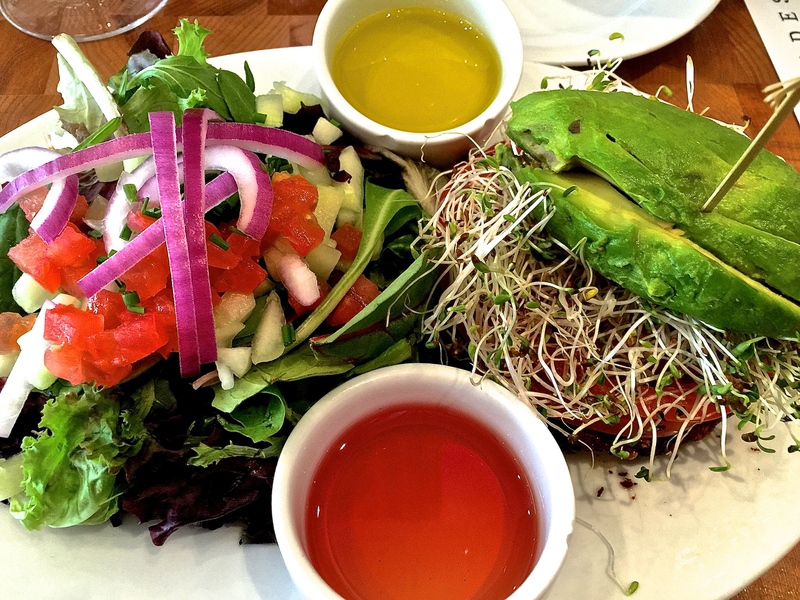 Kerf (Kath Eats Real Food) had a lot of great recommendations! 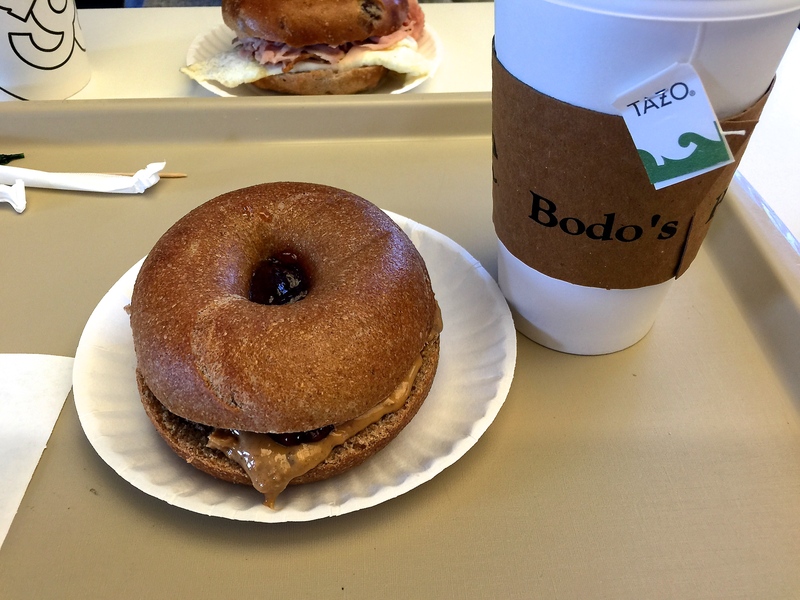 First up…breakfast at Bodo Bagels. Natural peanut butter (CRUNCHY) and preserves on a whole wheat bagel with green tea! This was incredible! The bagels did not disappoint, and I love the fact that they didn’t skimp on the PB. You can never have too much peanut butter! And then we were off! I was excited to spend the day hiking. We headed out of town and found the Monticello Trailhead. We didn’t know what to expect, but since our plans were pretty flexible, it really didn’t matter. We were just happy to spend the day outdoors. The trail was beautiful and well maintained…crushed gravel and boardwalks. Before we knew it, we “outhiked” the trail map, and found ourselves entering the grounds of Thomas Jefferson’s home…Monticello. Bonus. They have a rather nice visitor’s center. I had to laugh. (Not at the visitor’s center…just hold on.) There were quite a few school groups there, and I was entertained watching the adult chaperones trying to corral excited students. I know the feeling all too well. And I found it laugh out loud funny watching. Anyway, we bought our tickets, and continued our climb up to Monticello. Along the way we passed by the cemetery and saw Thomas Jefferson’s grave. We had a guided tour of the home. I was awed by the complexity of the house and surrounding grounds. Incredible. By the time we got back to the trailhead it was 3:00! Turns out we hiked over 7 miles. 7 hilly miles. To say we were starving would have been an understatement! 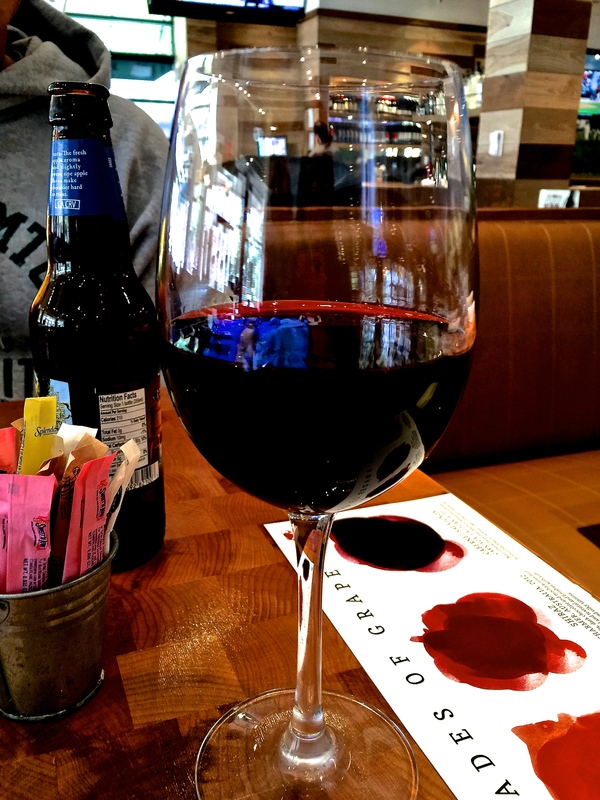 We had a late lunch or an early dinner…your call…at Zinburger. I had the veggie burger (made vegan by omitting the bun), some onion rings (shared), and WINE (NOT shared). Heavenly! 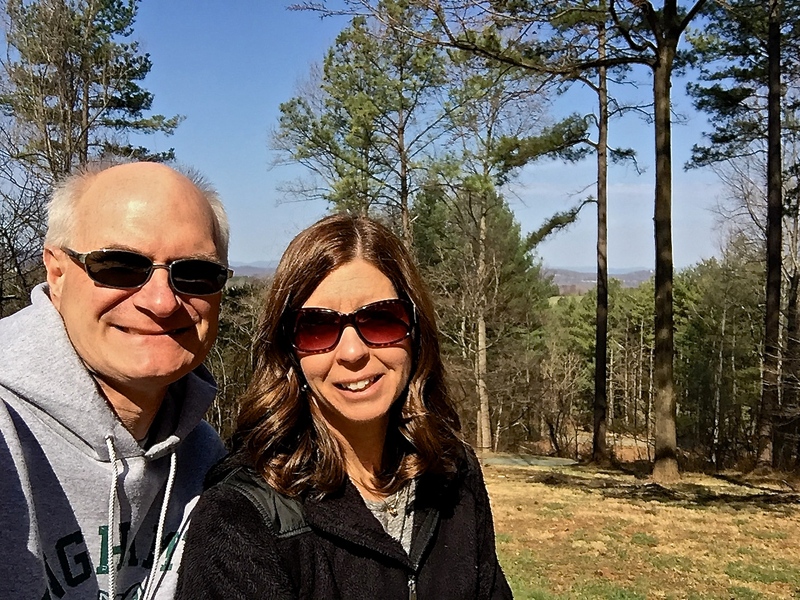 After “linner” we stopped at Barnes and Noble and researched local hiking trails. Then, we checked out the pedestrian mall in historic downtown Charlottesville. Finally, we stopped at Whole Foods (you knew I had to do this) to pick up some necessities like fresh fruit, juice, and ice cream! This served as supper. Sad, but true. Let’s think of it as a salad and dessert. That makes it seem less naughty. Plan B is turning out to be a lot of fun! 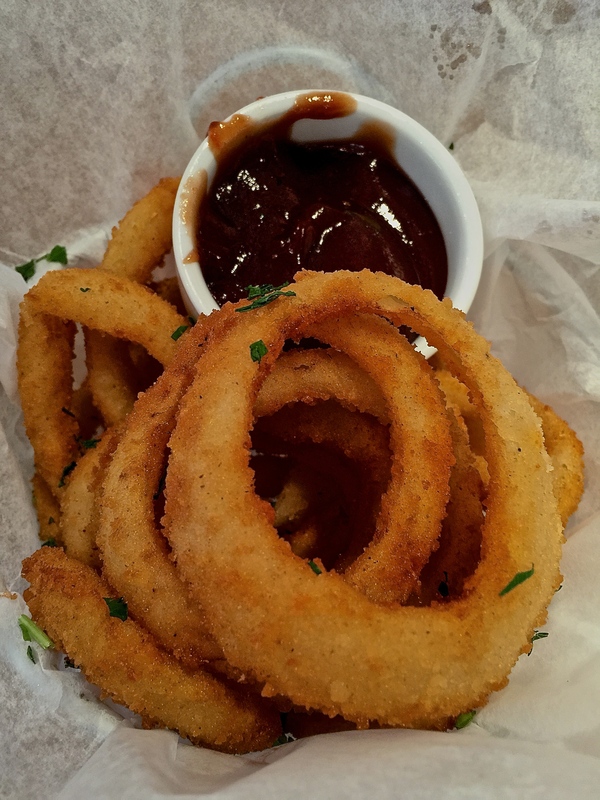 Previous Post Previous post:So…What Do You Eat When You Travel?